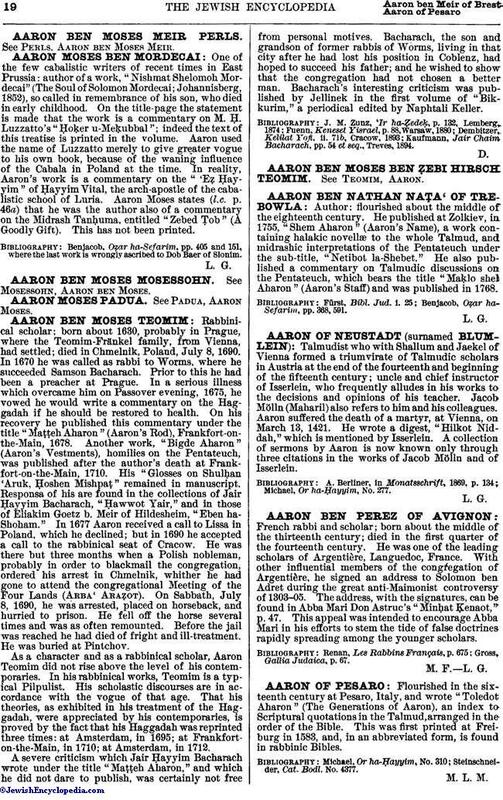 Flourished in the sixteenth century at Pesaro, Italy, and wrote "Toledot Aharon" (The Generations of Aaron), an index to Scriptural quotations in the Talmud, arranged in the order of the Bible. This was first printed at Freiburg in 1583, and, in an abbreviated form, is found in rabbinic Bibles. Steinschneider, Cat. Bodl. No. 4377.